They really don’t come much funkier than these guys. Wearing most of the rainbow, these chicks are hiding delicious, creamy white chocolate buttons inside a matching shell. 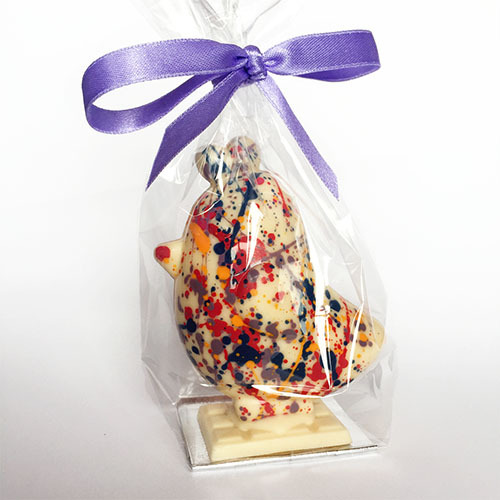 They stand proudly on a white chocolate plaque, all wrapped up with a lilac satin bow. A tasty twist on an Easter favourite. 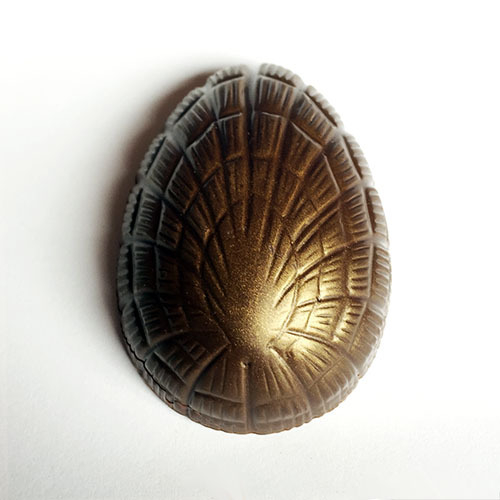 Creamy filling flavoured with vanilla surrounding a zesty mango and passion fruit “yolk”, all encased in a crisp dark chocolate shell. Perfect for anyone who loves milk chocolate. 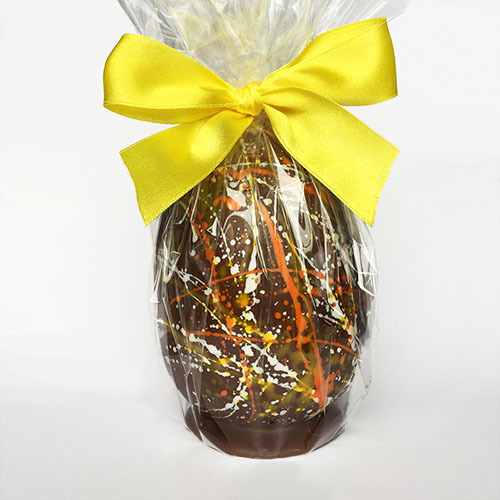 A sweet, creamy shell of milk chocolate decorated with the colours of Easter. The centre is filled with chunks of real honeycomb coated in the same delicious milk chocolate. Complete with big yellow bow, this is one very pretty Easter egg. Also available in dark chocolate filled with dark chocolate coated coffee beans as a vegan-friendly alternative. Limited number available, so contact us to order. Okay, so he may have got a little carried away, but Bunbun really made some stunning eggs here. Forget your usual hen eggs – these were made by dragons of Fire and the Sea. 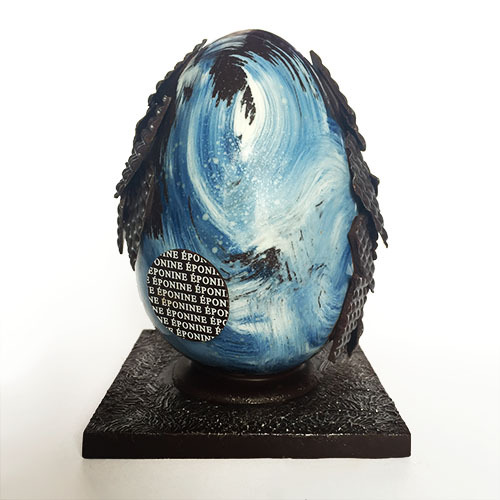 Flame red flickers up and around our milk fire egg, encrusted with thick, golden dark chocolate reptilian scales. At its feet you’ll find a crunch of cocoa nib embers on a base of pure milk chocolate. Shades of blue waves swirl over the surface of the dark sea shell, interspersed with silvered shimmering fish scales. It sits on a sea of silver-coated decadent dark chocolate. 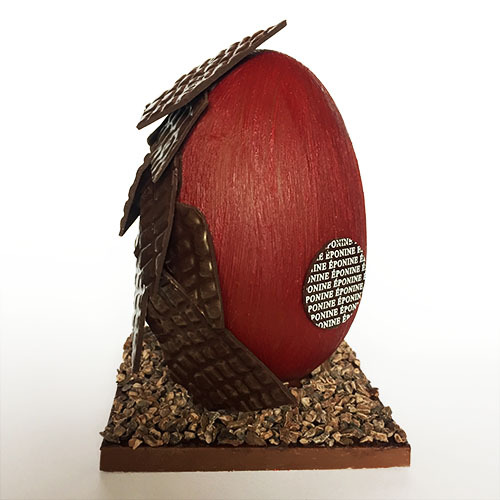 Each egg hides a sumptuous secret of 5 different chocolate pralines, including pistachio & almond, peanut butter raspberry, and Piedmont hazelnut. 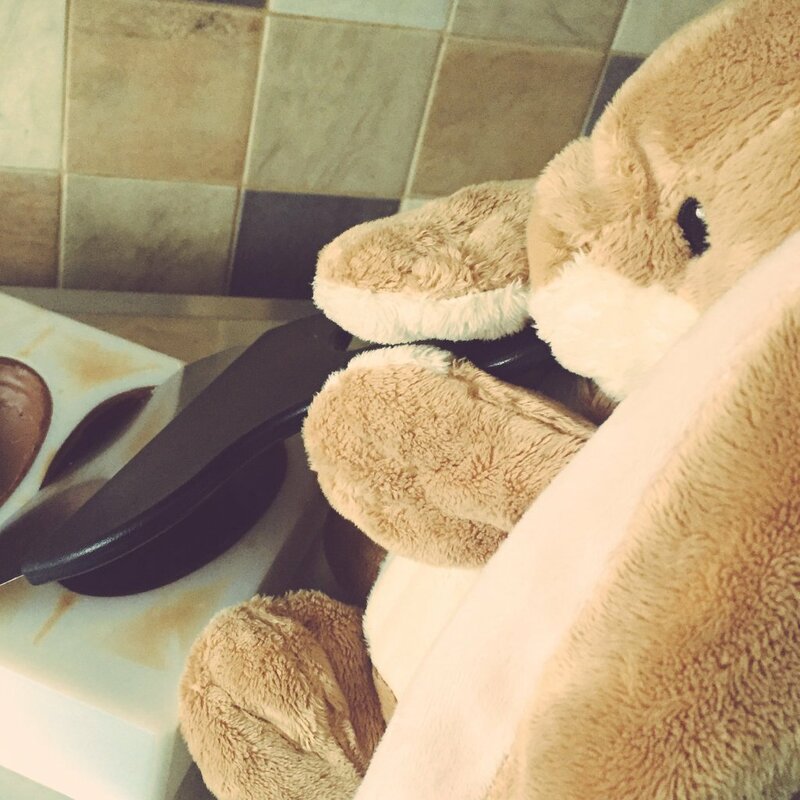 So there you have it, Easter 2016 by Eponine (and Bunbun, of course). 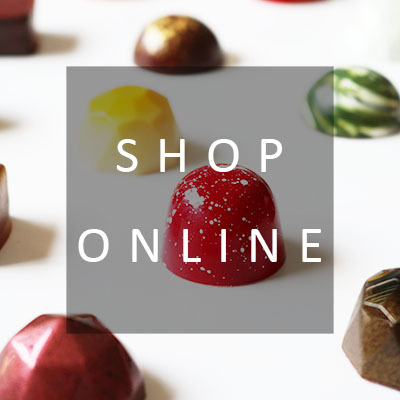 They’re all available to order now from our online boutique, apart from our delicate dragon eggs which are available for collection (please get in touch) or from us directly at any events before Easter. 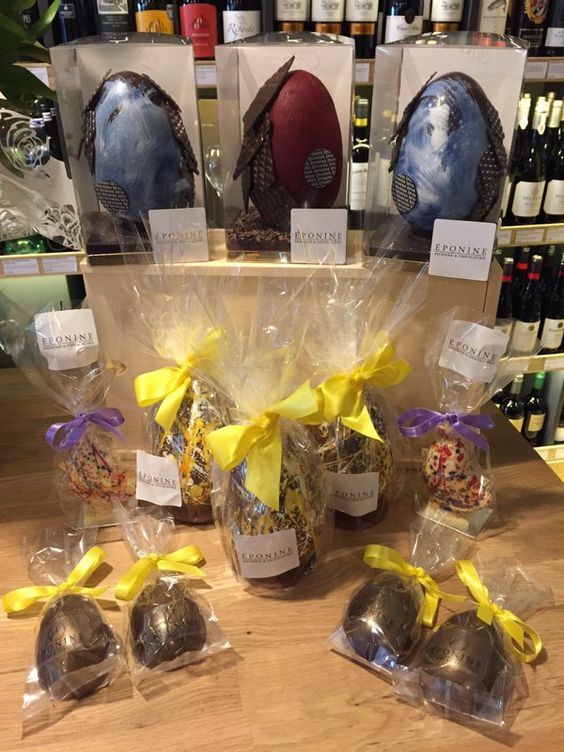 And if you really just can’t wait, you’ll also find all of these at Whitmore & White in Heswall and Frodsham. *No Bunbuns were harmed in the making of our Easter collection.